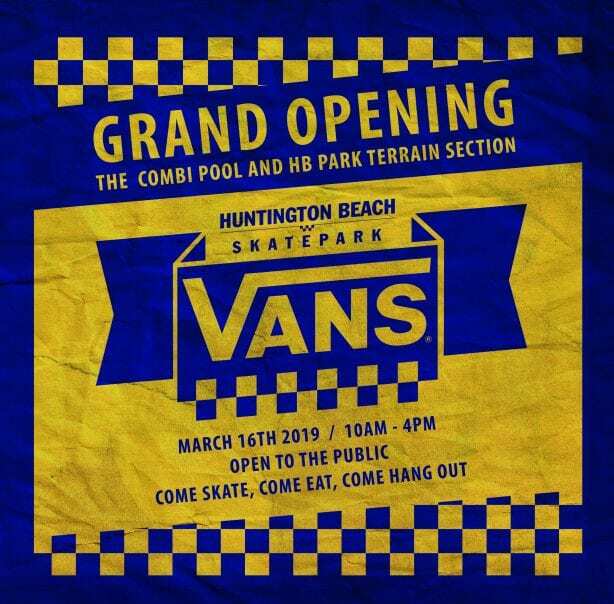 Vans Grand Opening of the new Combi Pool in Huntington Beach on March 16, 2019 was Off The Wall! 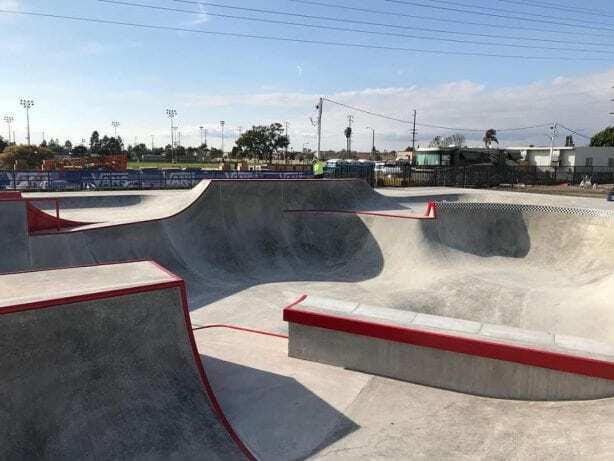 The renovations at the Vans Off The Wall Skatepark, located at 7471 Center Avenue, Huntington Beach, CA 92647 include a new reversed combi pool and a new park terrain section built by California Skateparks. 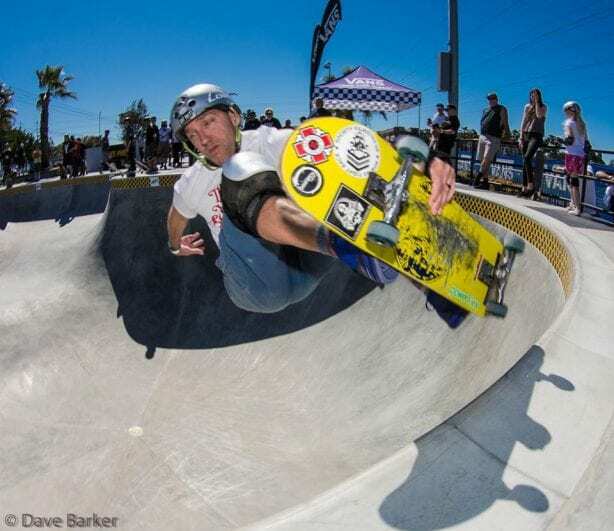 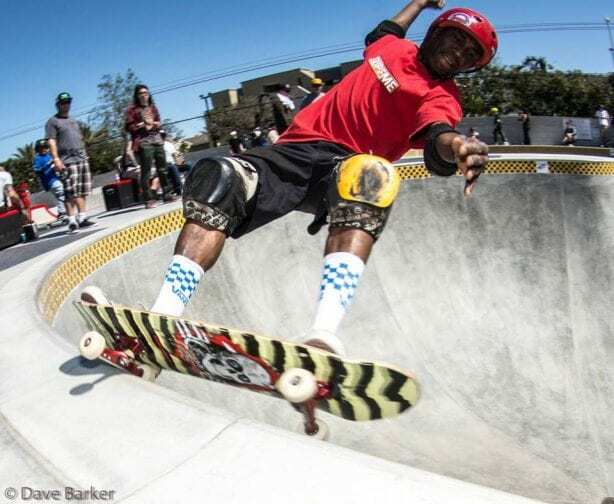 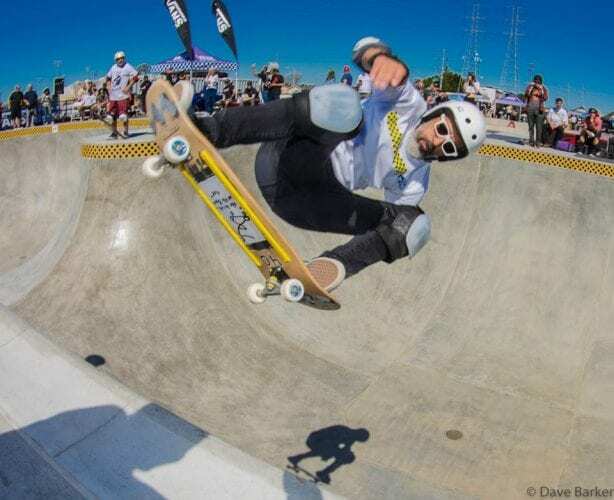 Reactions to the new combi pool were all positive from “Killer!” to “Epic!” to “Smooth!” with “Fast lines for days!” The grand opening event was filled with appearances by skate legends as well as top pros and up and coming groms. 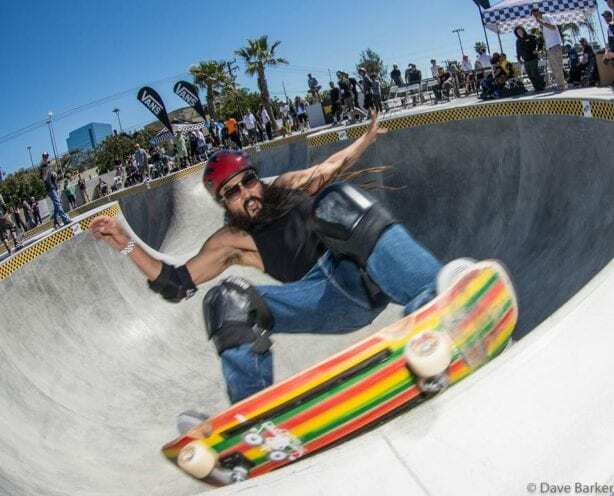 Steve Caballero, Salba, Eddie Elguera, Mike McGill, Lonny Hiramoto all found new lines in the combi while Christian Hosoi scooted through it while sidelined with an injury. 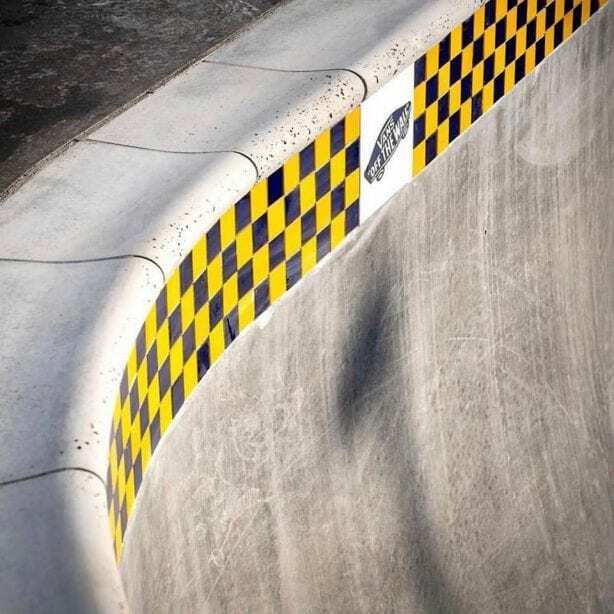 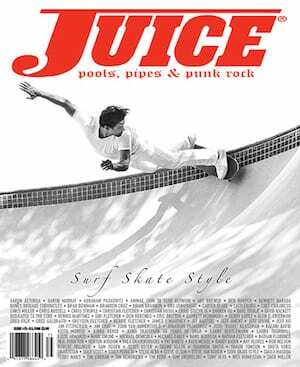 You can expect to see Hosoi airing over the new blue and yellow tiles sooner than later. 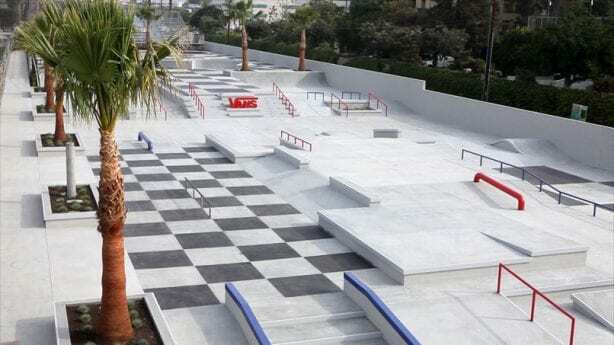 Skatepark overview photos courtesy of Vans Off The Wall Skatepark / California Skateparks. 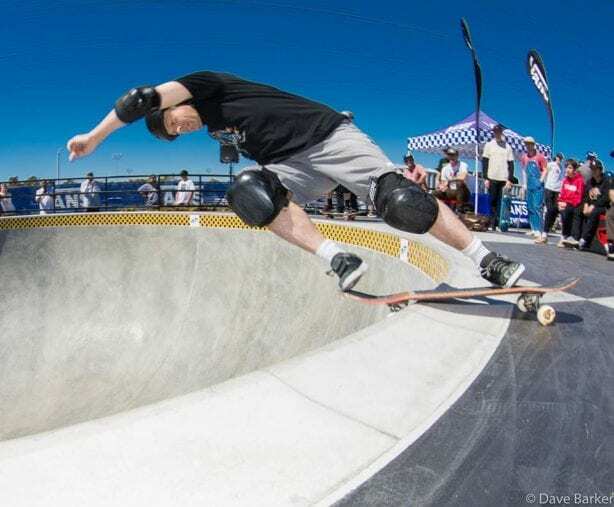 The @VansParkSeries competition style flow bowl quickly became a favorite new addition for all ages of skateboarders, while the street course remains just as heavily skated as before. 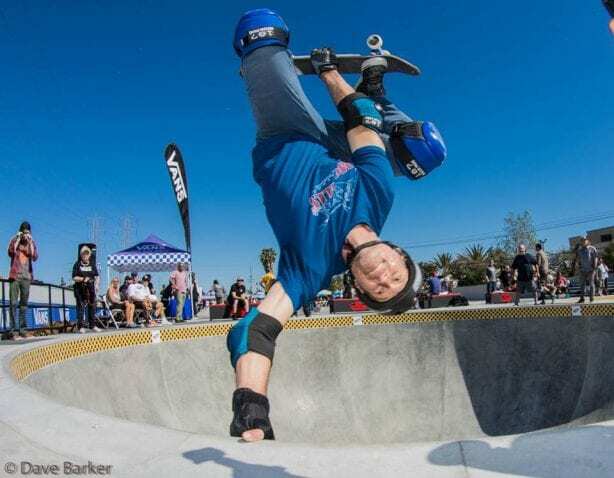 A banner hanging in tribute to Jake Phelps of Thrasher Magazine was also part of the skatepark’s newest displays in good form. 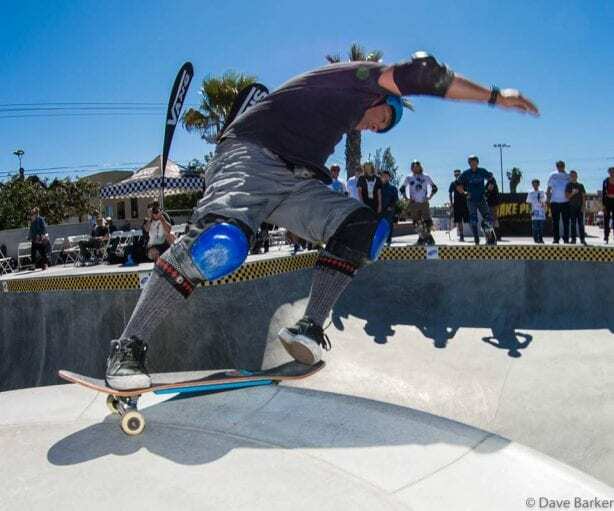 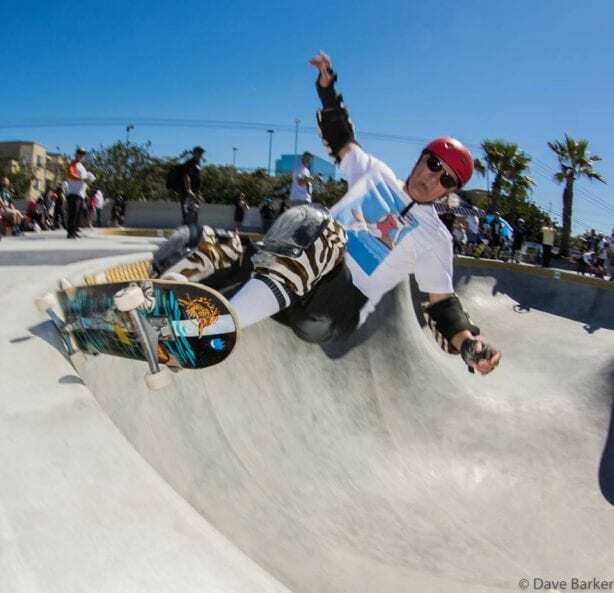 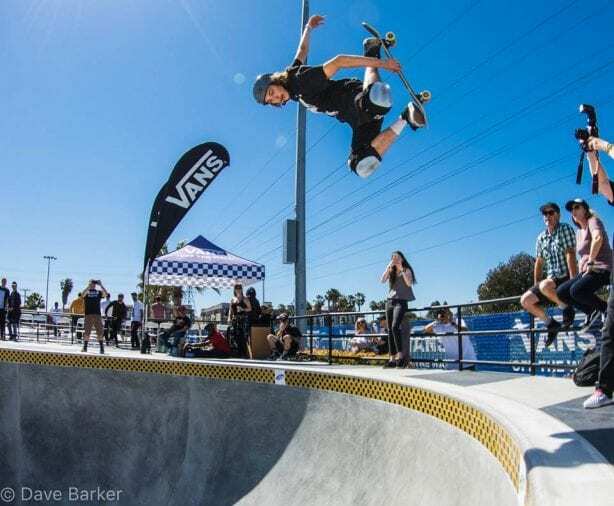 Although the new combi was open to skate on March 10th, in honor of the “Show Us Your Style” event at the Vans HB skatepark inspired by Lizzie Armanto and Brighton Zeuner, this day, March 16th was the official grand opening to the public. 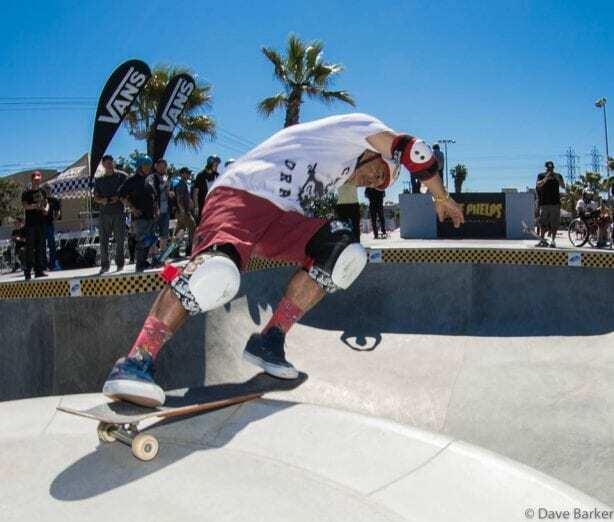 Thanks to Vans and Steve Van Doren for all that they do for skateboarding. 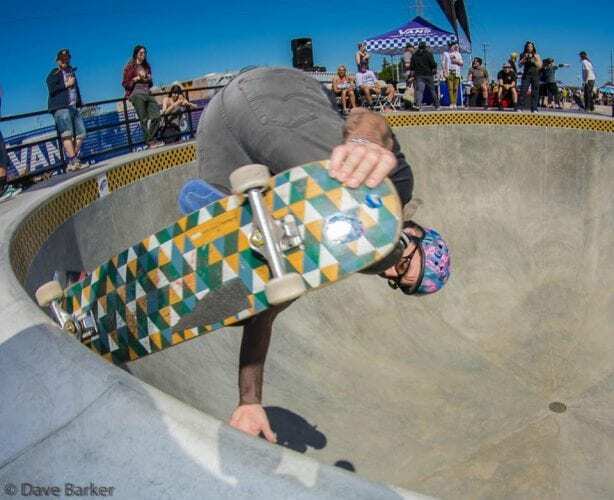 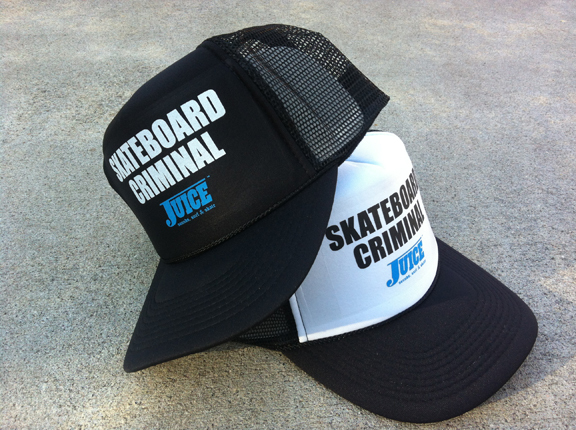 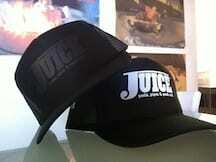 Thanks to Dave Barker of Hoodwood Skateboards for allowing us to share his photos from the Grand Opening event. 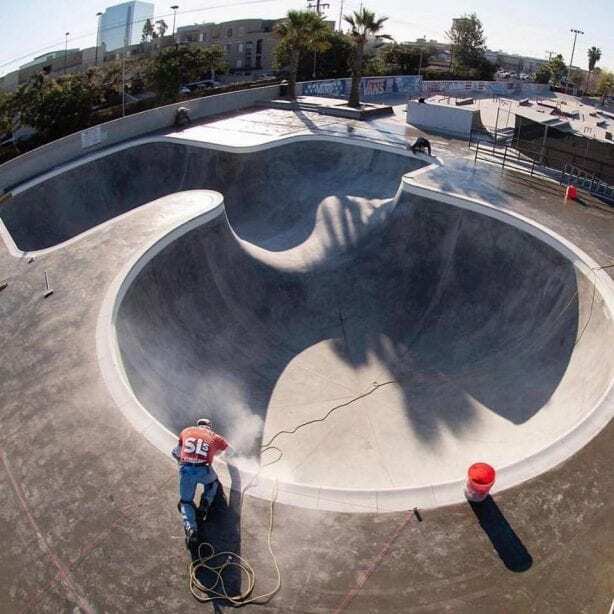 Skateboarding Allowed All Days Except Wednesday.